When Mother Nature has been generous and the vines are in their happy place, Singlefile’s Limited Release wines are fashioned. ‘The Vivienne’ Chardonnay and ‘The Philip Adrian’ Cabernet Sauvignon are only produced when vintage conditions are supreme and grapes are in their most superior state so we can craft outstanding iconic wines. This classic sparkling is made from a blend of Chardonnay and Pinot Noir grapes. The Chardonnay is grown on our estate and the Pinot Noir sourced from a neighbouring Denmark Vineyard. It is made only in exceptional vintages with very limited cases produced in the méthode traditionnelle style. The wine spends five or more years on its yeast lees, developing layers of complexity and an approachable creamy texture. The Blanc de Blancs is an elegant sparkling wine made with 100% Chardonnay grapes in the méthode traditionnelle style. 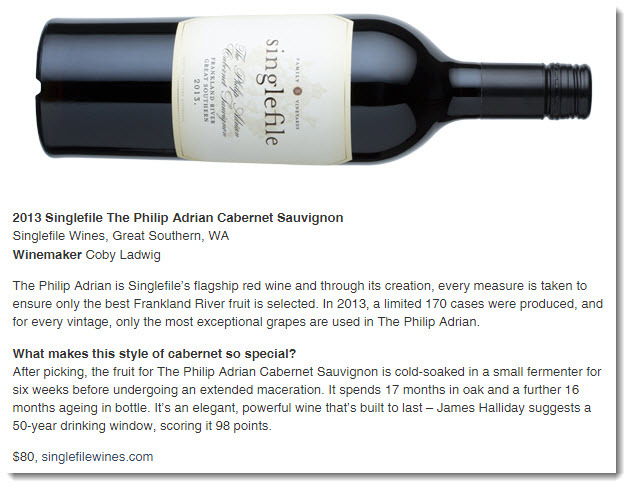 The fruit is sourced from Singlefile's cool-climate Denmark vineyard. It is made only in exceptional vintages. The wine spends about six years on lees and is released with maturity of flavour and elegance but remains fresh and bright htanks to the outstanding quality of the fruit. 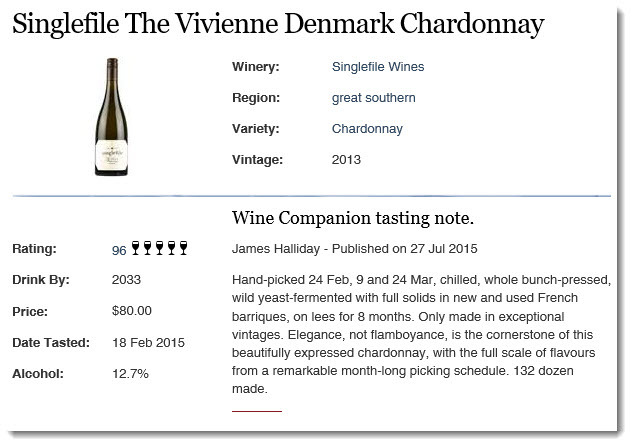 Ifr there is a wine that embodies the lifeblood of Singlefile's cool-climate Denmark Vineyard, this is the wine. 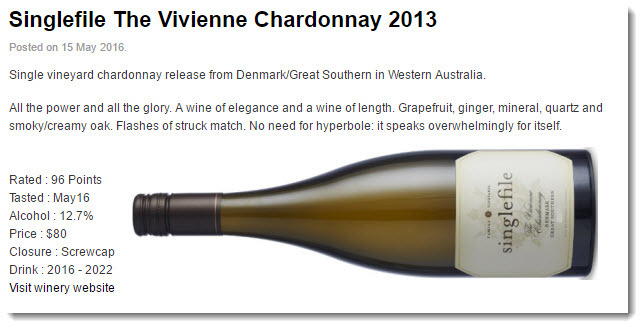 The Vivienne Chardonnay is Singlefile's flagship white. Harvested from different rows at separate intervals, The Vivienne Chardonnay is at once rich and refined, balanced and complex. A wine of purity and drive, it is made in exceptional vintage years with very limited cases available. 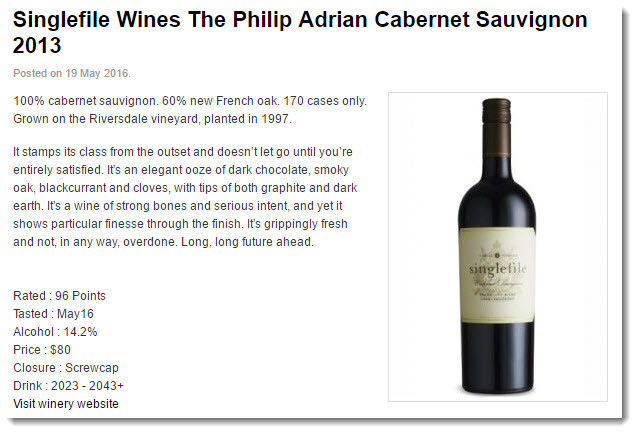 The Philip Adrian Cabernet Sauvignon is Singlefile's flagship red wine, made in honour of our patriarch, Philip Adrian Snowden. This intensely flavoured wine is made from only the best fruit grown at the Riversdale Vineyard in the Great Southern's Frankland River region. It is made only in exceptional years, with very limited cases produced.